I am using Excel on this tank. The thread algae hates it. Not sure it works on the green dust/diatoms but they seem under control now. Not for GDA but for diatoms, excel works depending on dose. Phone photos for an update about 4 weeks post planting. 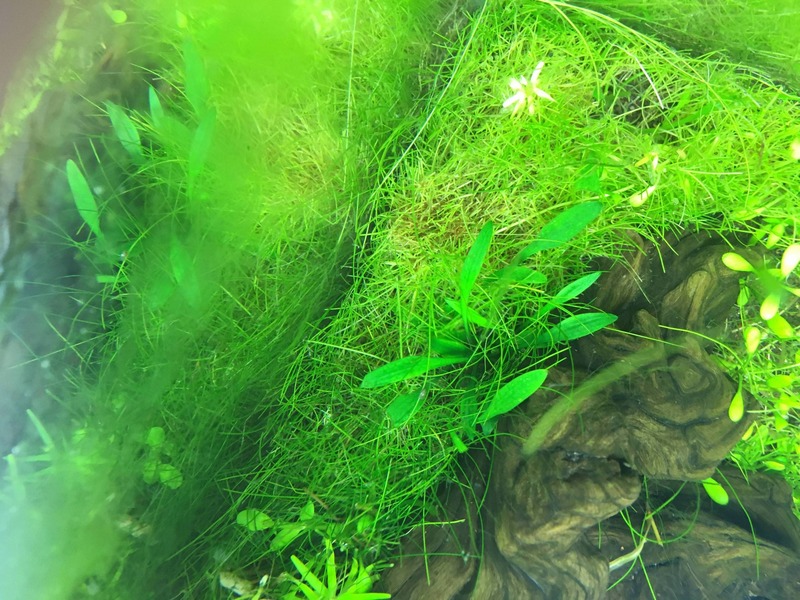 The algae is clearing and plants are filling in nicely (the hairgrass is actually already indicating that it is going to be a PITA to control!) but I haven’t trimmed anything yet. 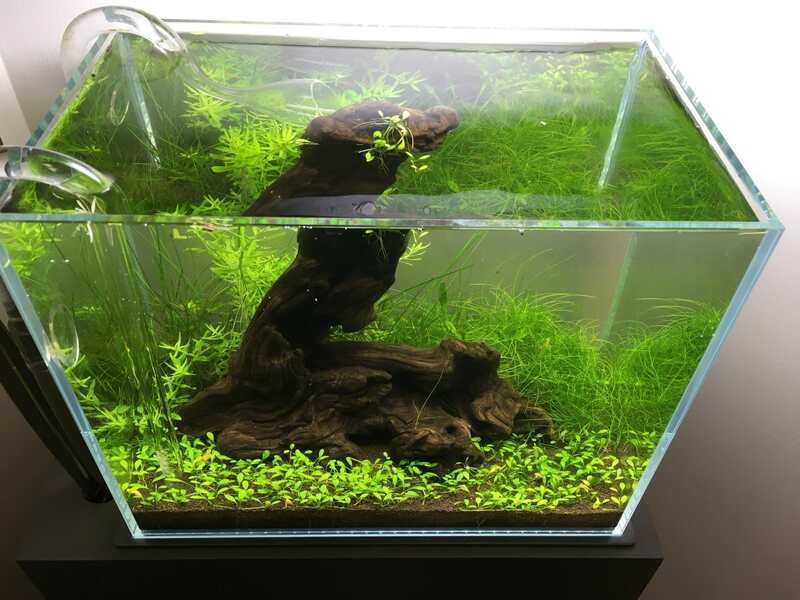 I think the rotala would probably respond well to a light trim though. I’m thinking I’d like to add some misses on the DW and a bit of UG amongst the glosso, so feel free to shoot me a PM if you want to make a few quid and help me out. CO2 is just a bit under a bubble per second. The only dosing so far is a 1/3 capful of API Leaf Zone (iron and potassium) about once a week. Also about 25% water change once or twice a week. Nitrites and nitrates were both just the slightest hint of pink on the API 5-in-1 test strip early the week so hopefully I can a few critters in the not too distant future. Last edited by siemanthepieman; 04-08-18 at 12:59 PM. 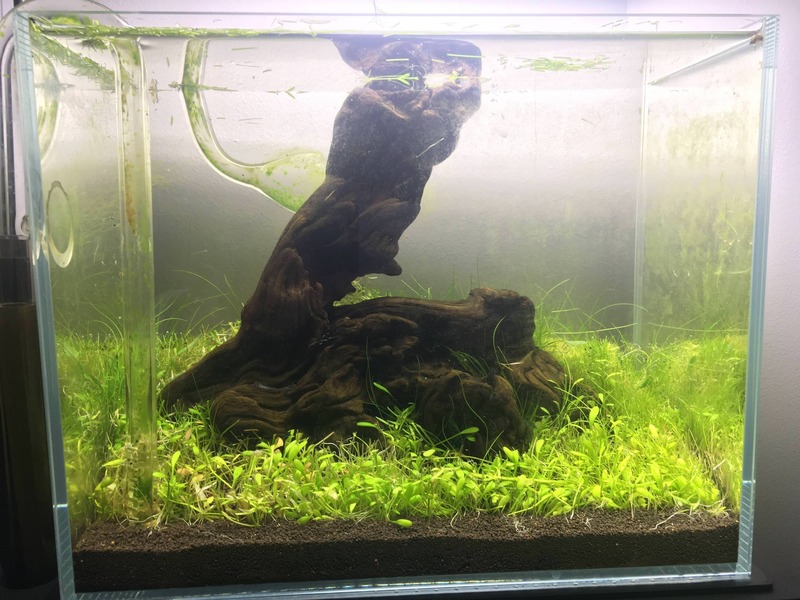 Okay, so we must be at about 12 weeks since I started this tank now. I have been fighting an ongoing battle with U. gibba. Haven't read up for any tips to get rid of it but manual removal sure isn't working. After a week away I came back to this. 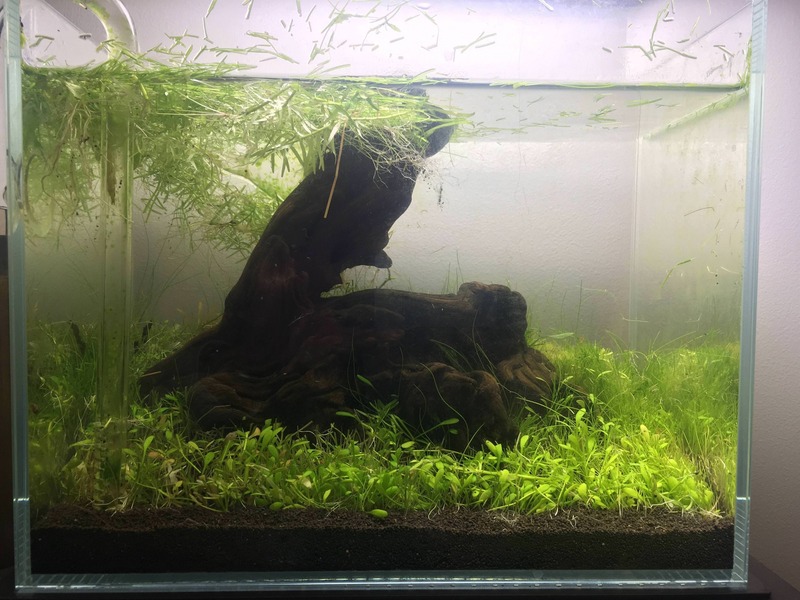 I suppose you shouldn't complain when growth is good, but you do, because it means algae and gibba also grow quite nicely. Anyway, I though I good trim might help. At least it would let me get down into the glosso and hairgrass to pick out some more of the gibba. Done, for now. I'm going to have one more hack at it this week after it recovers a bit, see if I can't get a bit more of the gibba out. 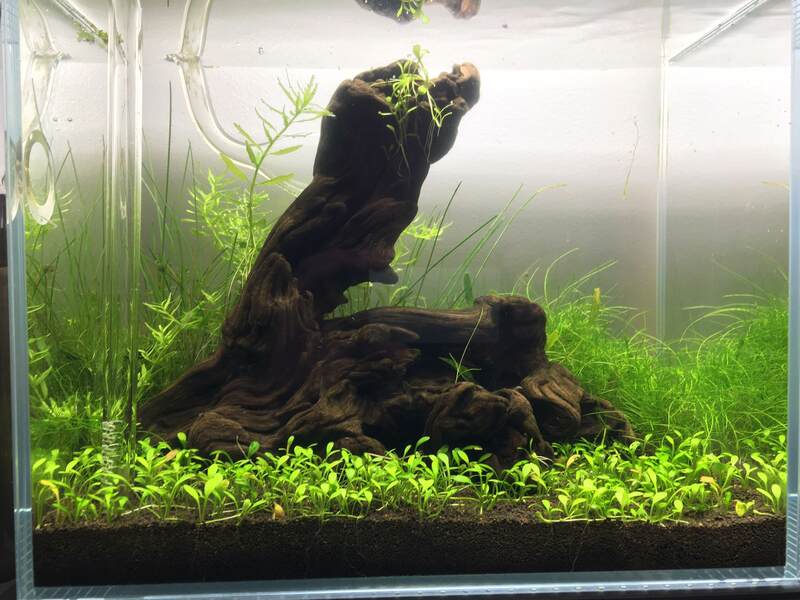 I also want to get a bit more of the rotala sp green out of the foreground but now its hard to tell which stems are glosso and which are rotala! 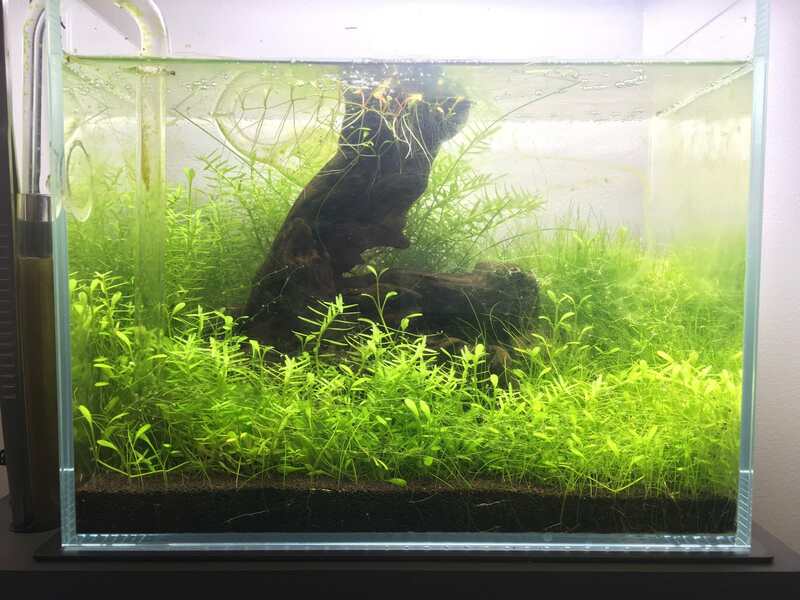 At least my favourite plant in the tank is liking the mess. C parva is growing strong. Any my inhabitants. I bought 10. They were tiny. I have confirmed 5 still in there, clearly growing. 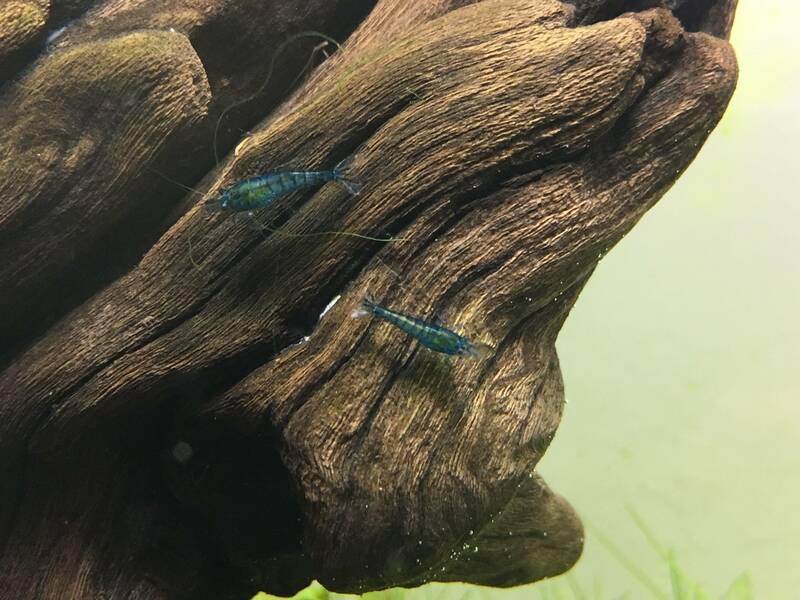 Not sure if the others are gone (I haven't seen any on the carpet, maybe in the filter?) or just hard to find, although I suspect the former. This tank sits on a little ADA style stand in the corner of my office, directly across from my desk. Life at work is a little better for it! And yes, I know the glass needs a good clean! I've vaguely heard of livebearer salt killing gibba but not sure of details.